Weather resistant white plastic construction ensures boards will never rust or splinter! Includes a set of over 300 letters and numbers! Assembles quickly, no tools needed! These are plastic a-frames to be used inside or outside. These sidewalk signs are durable and made for years of use. These plastic a-frames transport easily. 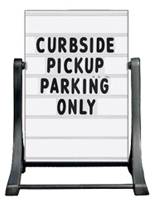 These are perfect sidewalk signs because each unit has hinges that lock into place to prevent overextension. 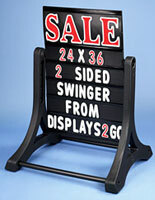 These plastic a-frames, also called sandwich board, also have holes for inserting sand into each leg as well. The sand helps to weigh the unit down and prevent it from being knocked down by heavy winds. 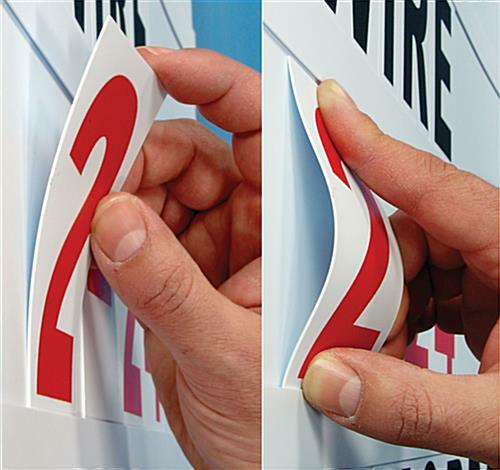 A huge feature of these plastic a-frames is that messages can be modified as often as desired, with the easy-to-change letterboard set. The letter set includes over 300 different characters to create custom messages. These are plastic a-frames that hold two signs. This feature is ideal if these sidewalk signs are being positioned on a sidewalk where people can view from either side. These plastic a-frames are essential for busy business locations. 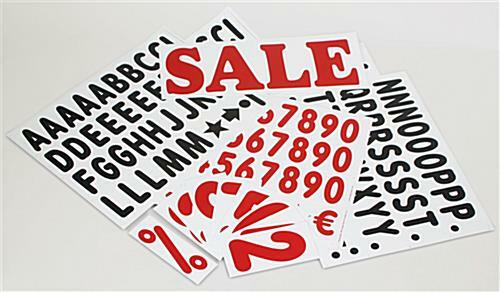 The signs can be instrumental in luring customers into your establishment. These are plastic a-frames that are easy to change. 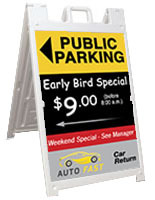 This allows more time to be spent helping consumers' rather than updating the sandwich board. 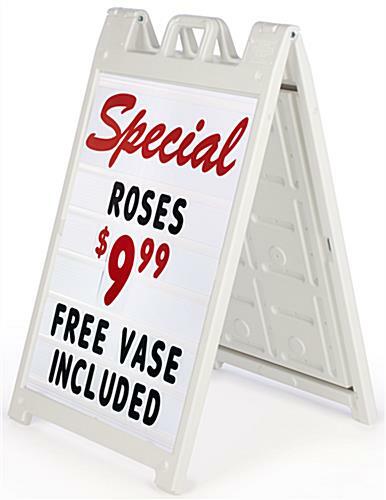 These plastic a-frames have a convenient handle for easy portability. 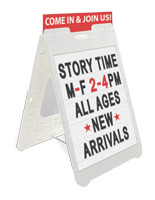 In addition to this sandwich board, there are various other sizes, colors, and styles available as well.